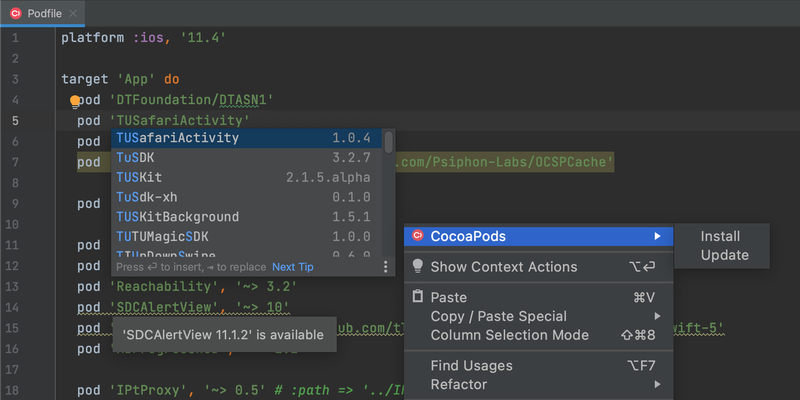 AppCode comes with a built-in CocoaPods dependency manager, which allows you to create podfiles, update and install pods right from the IDE UI. A pod file editor supports completion and provides multiple intentions while specifying project dependencies, and shows notifications for pods that are outdated or not yet installed. 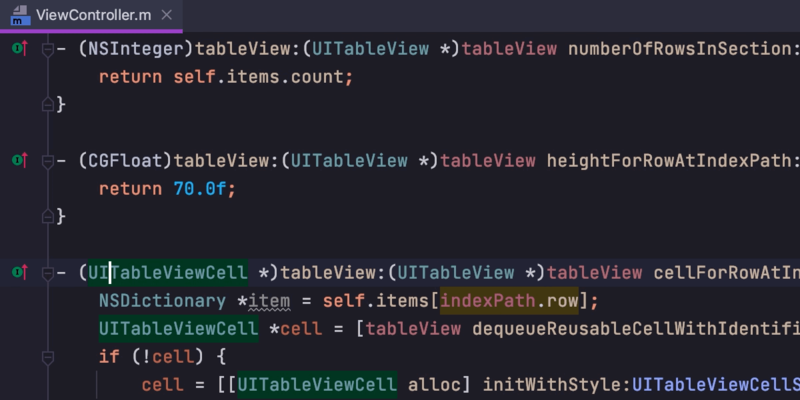 AppCode is integrated with Reveal, a fantastic tool from Itty Bitty Apps that helps debug iOS applications. 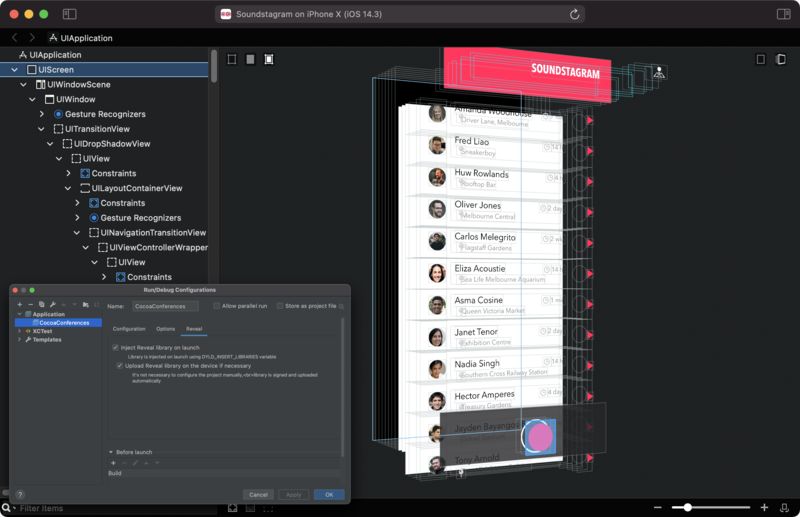 You can experience the benefits of this tool right from AppCode, including the ability to inspect view elements and hierarchies of your iOS apps in real time, use the 2D and 3D visualization possibilities, and edit the view on the fly, which is a convenient way to tweak the interface without recompiling. To use Reveal from AppCode, first you need to edit the configuration. There is a special tab for this purpose where you can choose to inject a Reveal library on application launch and load the library on the device (or not). Then, Run/Debug your application and click Reveal icon on the Debug panel to inspect the application with Reveal. The integration is provided via a plugin and is open source under Apache 2.0 license. To try it, install Reveal together with AppCode. SwiftLint is a static analysis tool by Realm that helps you enforce Swift style and conventions in your project. Swiftify is a paid tool that aims to be a full-featured Objective-C to Swift converter. 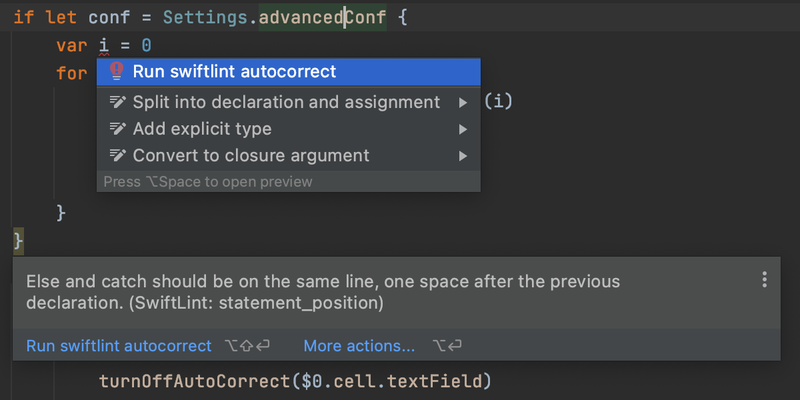 Configure and use it directly in AppCode by installing the plugin by the Swiftify team. If you prefer to use external documentation browsers, AppCode provides a convenient way to do that as it integrates with Dash. 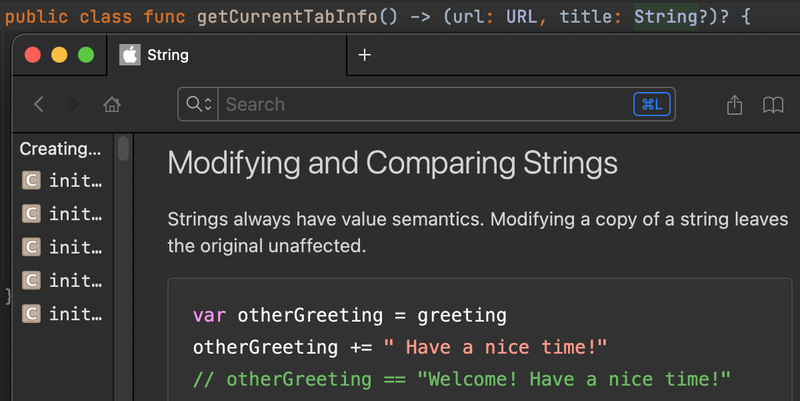 When developing network apps, you may benefit from testing network requests using the RESTful web services plugin, which is bundled in AppCode. 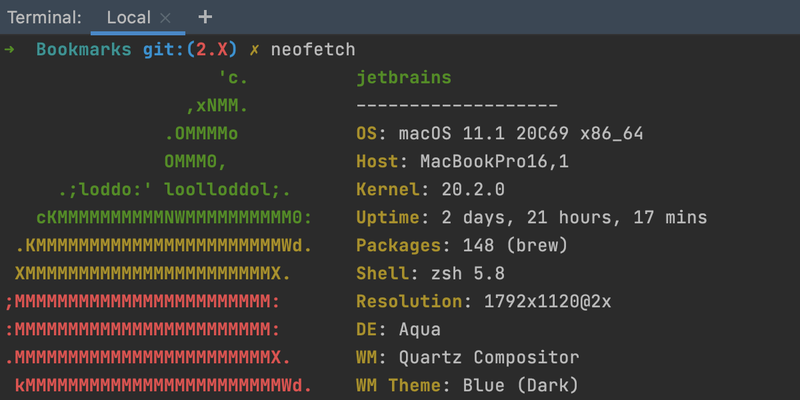 A built-in terminal, available via ⌥F12, lets you run commands locally or remotely using the SSH protocol. You can set any shell you have already installed on your system (bash, zsh or any other).